Latest post Sat, Jun 23 2018 12:33 PM by TechOne88. 4 replies. I shot on red dragon, 4.5w, and im editing with proxies in 1080p (ama). 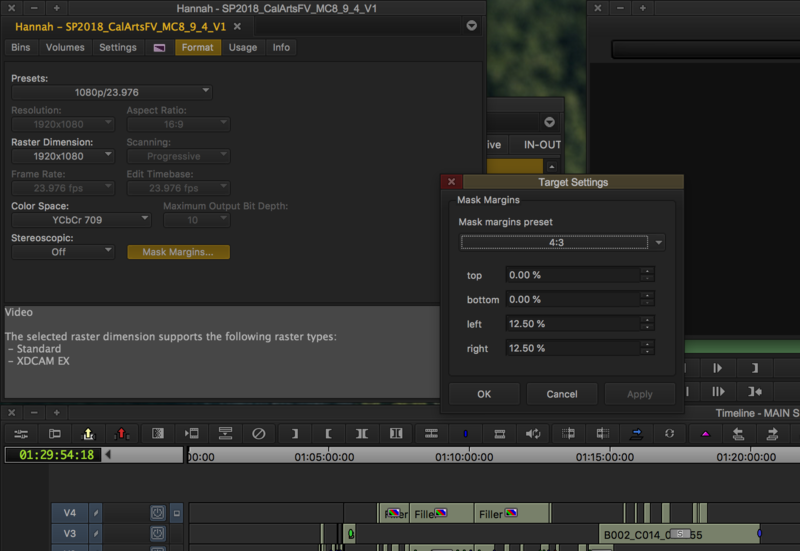 I created the project in 1080p (16:9) 23.9fps, but i actually need to edit in 4:3. So i used mac in my school (avid 8.9.3) to finihsed the rough cut, which I used frame flex and created 4:3 ratio, it showed two black bars on both sides, and I can adjust the letterbox. But when I just opened the project on my mac (avid 2018.5), both moniters are showing the clips in 16:9, even though i checked in sours browsing, and it's still showing the same. I tried to reajust the crop square, the picure moved with it, but still showing in 16:9 without the bars. 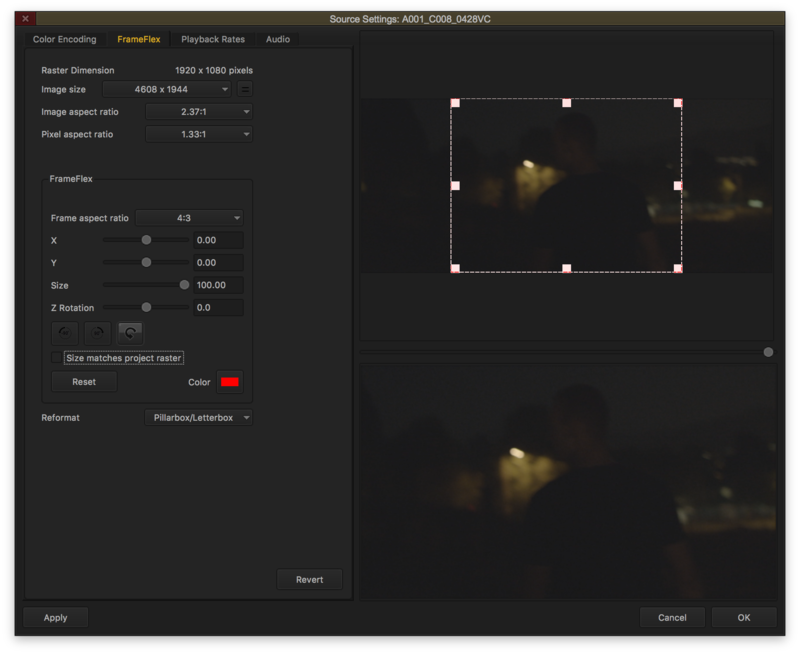 I just attached the screenshots of the settings and what happened to the frameflex. I tried to reajust the crop square, the picure moved with it, but still showing in 16:9 without the bars.